Former Bosnian Army Fifth Corps commander Atif Dudakovic and 15 subordinates pleaded not guilty to wartime crimes including over 300 murders and the destruction of Serb Orthodox churches. Wartime Bosnian Army general Atif Dudakovic and 15 of his subordinates pleaded not guilty at the Bosnian state court on Wednesday to charges including the murders of more than 300 people, the persecution and abuse of civilians and prisoners of war, and the destruction of 38 Orthodox churches and other Orthodox religious buildings. 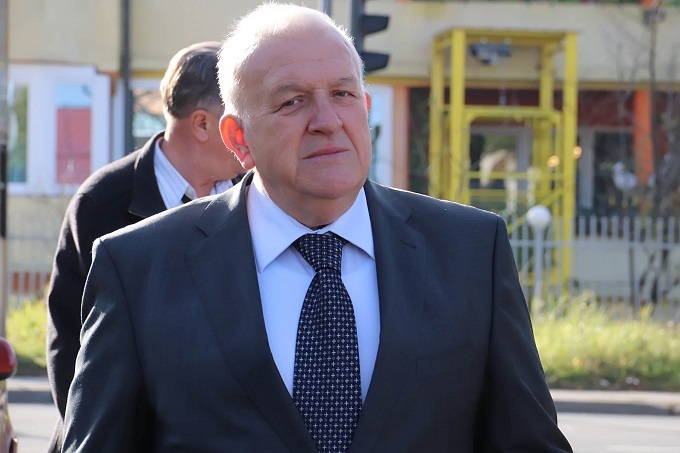 Dudakovic and the others are charged with crimes against humanity in the municipalities of Bosanski Petrovac, Kljuc, Bosanska Krupa and Sanski Most, and war crimes against the civilian population in the municipalities of Bihac and Cazin. “The defendants have been charged with committing the murders of more than 300 Serbs, most of whom were civilians, mainly elderly people, as well as soldiers who had either surrendered or had been captured, which means they were deprived of the ability to fight,” the prosecution said in a statement when the indictment was initially raised. Part of the indictment concerns war crimes against Bosniaks who were members and supporters of the National Defence force of the Autonomous Province of Western Bosnia, a self-proclaimed Bosniak-led wartime breakaway statelet. Dudakovic, a popular Bosniak military commander, commanded the Bihac enclave in north-west Bosnia during the war. After the conflict, he became the general commander of the Federation of Bosnia and Herzegovina’s army. His arrest in April this year caused anger among Bosniak politicians and war veterans, but was praised by some Bosnian Serb politicians. The other Bosnian Army Fifth Corps ex-soldiers who are indicted are Ekrem Dedic, Sanel Sabic, Ibrahim Siljedic, Safet Salihagic, Adis Zjakic, Hasan Ruznic, Redzep Zlojic, Samir Solakovic, Fatmir Muratovic, Muharem Alesevic, Husein Balagic, Ale Hodzic, Edin Domazet, Ejub Konjezic, Ibrahim Nadarevic and Said Mujic. All the defendants pleaded not guilty except Ale Hodzic, who failed to attend the plea hearing due to poor health. Judge Davorin Jukic said Hodzic would enter his plea at a later stage.